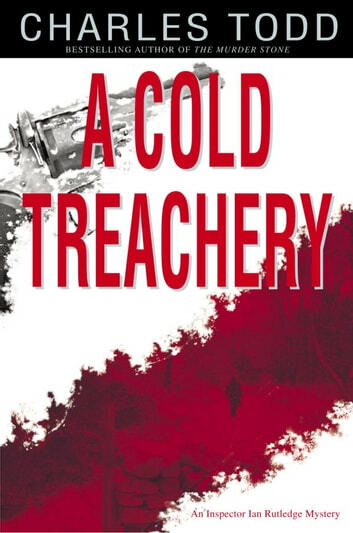 Called out by Scotland Yard into the teeth of a violent blizzard, Inspector Ian Rutledge finds himself confronted with one of the most savage murders he has ever encountered. Rutledge might have expected such unspeakable carnage on the World War I battlefields, where he’d lost much of his soul–and his sanity–but not in an otherwise peaceful farm kitchen in remote Urskdale. Someone has murdered the Elcott family at their table without the least sign of struggle. Was the killer someone the young family knew and trusted? When the victims are tallied the local police are in for another shock: One of the Elcotts’ children, a boy named Josh, is missing. Now the Inspector must race to uncover a murderer and to save a child before he’s silenced by the merciless elements–or the even colder hands of a killer. Haunted and goaded by the soldier-ghost of his own tortured war past, Rutledge will discover the tragedy of war that splintered one marriage–and pulled together another. Love the detailed plots of Todd's books but tend to feel let down by the sparse endings. Left wondering what happened next. As a plot devise it leaves me feeling cheated. Enjoy all books by Charles Todd. Well plotted, good sense of history - 100 years ago but people's characters stay the same. This is my fourth Charles Todd book. It won’t be my last. They keep me riveted time after time.